‘5 the restaurant’ on S V road, Santacruz was quite a landmark for it’s simple food at a great price and what I also loved about the place was its ambience, warm with an European home like feel. For those who did not know, the place has shut however it has opened up in Khar west, at a stone throw from the station. I went to the restaurant on a Saturday afternoon on invitation. The place is bright and daylit, nothing wrong but I still would rate their former much higher than this, it had a soul. We settled at a high table with stools bang opposite their bar, which is yet to be stocked up fully as they are running on a daily liquor license. 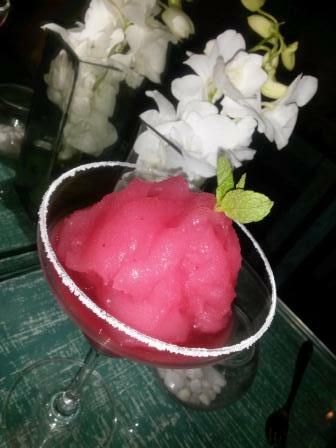 We ordered for a Virgin Strawberry Margarita (Rs 225) and a Sour Apple Martini (Rs 395), both were refreshing and done well. 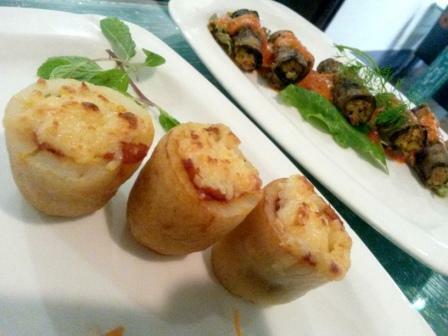 The appetizers ( all at Rs 285) were laid out beautifully and tasted great, the baked potatoes were crusty and rich, the aubergine rolls were piquant with a crunch of the vegetables, the parmesan gnocchi came with a lot sauce, I did enjoy the orange cream sauce but couldn’t finish it all. The server mentioned that people ask for a lot of sauce with it and hence the generosity, sauce on request is a better idea than wasting it I think. The baked button mushrooms took a long time to come and were not worth the wait, plain vanilla they were. 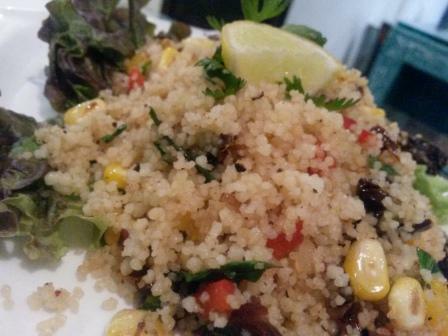 The warm couscous salad was extraordinary, must have!!! 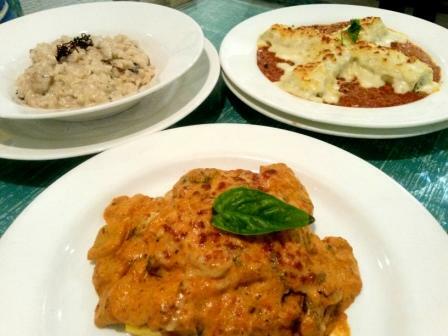 For mains, the classic cannelloni (Rs 365) was dense and filling, the polenta ratatouille construct (Rs 365) presentation was awful; it tasted good though but they can pull back on the copious addition of cream and lastly the mushroom risotto (Rs 385) was done perfectly well. 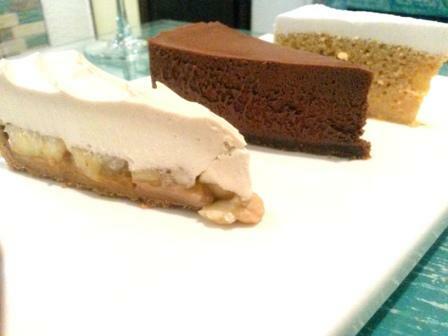 The highlight of our meal were the desserts (Rs 245), the Five signature ‘Banana flip Torte’ cannot be missed for the world, the daily special Tres Leches and Argentinean specialty was oozy and moist and the chocolate flan would do certainly do justice to all the Chocolate lovers!!! 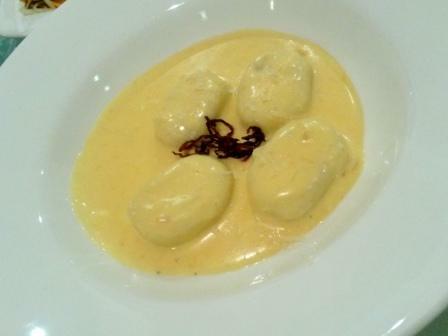 The overall meal was delightful, would surely go back for more specially for the 3 course weekday lunch menu priced at Rs 495. I have had enough of those at their Santacruz outlet. Go and try!! !